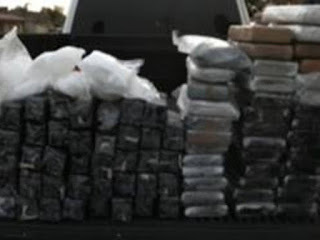 Orange County and other law-enforcement agencies including the FBI made a $1.6m haul of 40kg (88 pounds) of heroin, 31kg (68 pounds) of methamphetamine, 11.8kg (26 pounds) of fentanyl and about 2 pounds of cocaine. Five handguns and several rifles were also seized. Three traffickers were arrested. 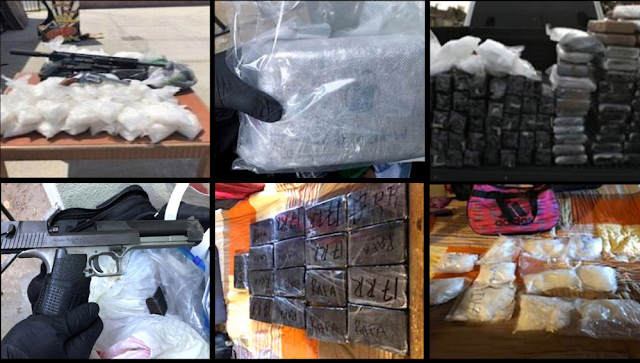 The four-month investigation began in Orange County but spread as authorities found drugs in cars and homes in Los Angeles and San Bernardino counties. The drugs were thought to be distributed among the three Southern California counties.